As of this writing, near the end of May 2018, close to 3,500 hazmat ground transportation incidents have occurred this year. According to the U.S. Department of Transportation Pipeline and Hazardous Materials Safety Administration (PHMSA) Office of Hazardous Material Safety, more than 3,100 of these incidents happened on highway transport. Anyone whose job entails offering and/or transporting hazardous materials by ground, as well as by air and by sea, is required to comply with all aspects of the regulations and do everything in their power to prevent any such incidents during normal conditions of transport. For this reason, Title 49 of the Code of Federal Regulations (49 CFR) requires hazardous materials shippers to undergo training. While this short article is no substitute for that, it will give some insights into the requirements for safety that hazmat employees must follow. Here is some basic advice on hazmat ground transportation. The most important advice for anyone working with hazardous materials to follow is to comply with the relevant regulations. The U.S. Department of Transportation’s (DOT) regulations on handling hazardous materials for commerce are found in Title 49 of the Code of Federal Regulations (49 CFR), specifically Parts 100 to 185. These are collectively known as the Hazardous Materials Regulations (HMR). There are specific requirements for how every step of the process must be complied with, from classification, identification, packaging to marking and labeling as well as to the segregation requirements for storage and while loading a transport vehicle. It is imperative that anyone involved in the transport of hazardous materials know, understand, and comply with them. It should be noted that the HMR covers all modes of shipping hazardous materials – not just by ground. This next section provides information specifically to hazmat ground transportation. If your job as a hazmat employee will involve loading or operating the truck that will transport the hazardous materials, you need to be aware that an accident involving this vehicle, due to its contents, could have much more serious consequences than with other vehicles not transporting hazardous materials. 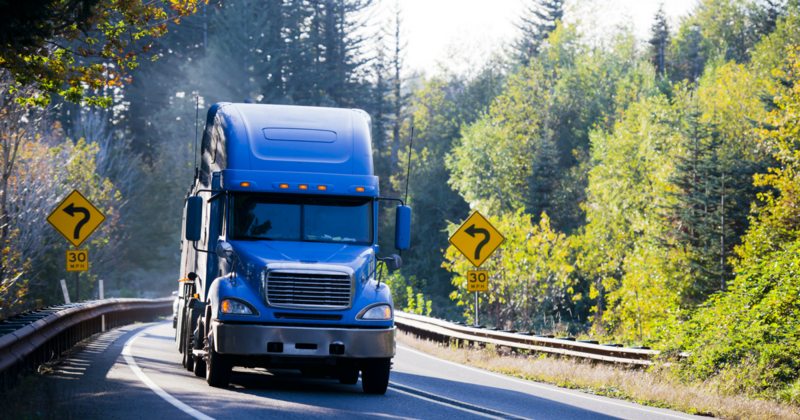 The Federal Motor Carrier Safety Administration (FMCSA) is keenly aware of this, which is why it provides additional training requirement for truck drivers to prevent rollovers. According to the statistics, more than 94% of all rollovers share one common factor: a partial load. When a transport vehicle transports a partial load, the contents have more room to move. This can result in the shifting of the cargo if not properly secured. If the driver takes a sharp turn, hits the brakes too hard, or suddenly changes the speed as they drive, the forces will act on the unsecured cargo and shift the weight around. This can, in turn, act on the transport vehicle and shift it further or in different ways than planned. Losing control like this can lead to rollovers and other accidents. All this is to say that truck drivers need to be alert when they are behind the wheel. Before a driver embarks on the journey, all must be verified and the load must be secured. The driver must also be in a great state of mind and have passed all of the required medical and background checks. The vehicle must also be in in good condition, particularly the brakes and tires. What drivers need most is to have complete control over the vehicle. Anyone involved in the transport of hazardous materials – by ground or by other means – is required by law to know and comply with the appropriate regulations. Hazmat University offers several training programs for shipping and handling hazmat by ground. They include initial training for novices, recurrent training for those with more experience, and even training specifically for the segregation of hazardous materials. Visit our selection of courses, including our hazmat ground transportation training, and start learning immediately.